The Musical Taliban himself, who just turned 33 a few days back and gifted himself an exquisite Peugeot 307 (which he gladly celebrated on Instagram which his numerous fans) is out with his first release of the year, and we’re particularly thrilled about it, as we suspect you might be as well. The Money Stops Nonsense (MSN) Gang singer-songwriter, recording artist and performer who got hitched in November last year has just dropped this one he titles ‘Kiss a Bride’, which we need not be told is a tribute to his beautiful wife, Nabila. ‘Kiss a Bride’, which Oritse Femi releases off his latest album ‘L.I.F.E’ (a 17-track body of work which features YBNL Boss – Olamide, YAGI Wonderboy – Lil Kesh, and Oritse Femi’s Best Man – Small Doctor) is a very fun makossa-flavoured tune that’s sure to get you trying out your favourite makossa dance moves, even if they’re a tad rusty, whether you’re at a party or just in the comfort of your bedroom. It’s interesting to listen to the Ajegunle-born superstar sing so sincerely about his feelings for the love of his life, and how he’s beyond excited to have her in his world. The accompanying video is just what you’d expect to enjoy after listening to Oritse Femi’s love song. Avalon Okpe, the video director, does a fantastic job as clips from the ‘Double Wahala’ hit-maker’s wedding ceremonies were beautifully strung together, punctuated regularly by brief scenes of Oritse Femi singing and dancing to the camera, to create something truly spectacular. 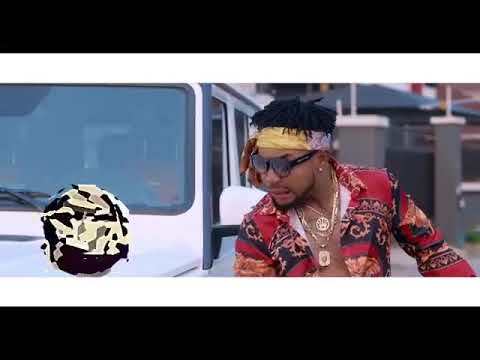 Get your dancing shoes ready and vibe to Oritse Femi’s latest treat – a rather exciting audio-visual experience by all standards. i listened to this track and realized that Oritse Femi as really developed in music production.